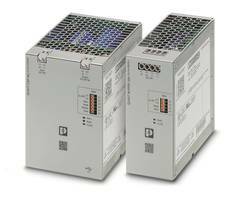 Disconnect Terminal Blocks suit hazardous locations. 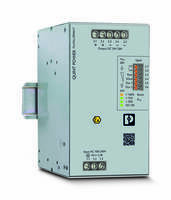 Featuring pluggable P-FU-EX fuse holders for 5 x 20 mm or 6.3 x 32 mm fuse inserts, Models UT 4-MT-EX, UT 4-TG-EX, and UT 6-TG-EX use screw-clamp connection technology for ferruled or stranded wires, and are rated for multiple wire connections. 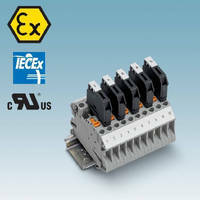 Fuse and knife disconnect terminal blocks have current-carrying capacity up to 16 A per UL file XCIB2.E192998. Devices' 6.2 and 8.2 mm terminals meet requirements of ignition protection standard important for process industry. 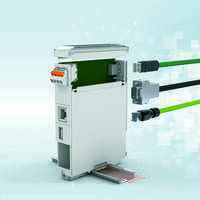 MIDDLETOWN, Pa. — Phoenix Contact’s line of screw-clamp terminal blocks now includes pluggable fuse and knife disconnect terminal blocks for potentially explosive areas (Class I, Zone 2). The 6.2 mm and 8.2 mm terminals meet the requirements of ignition protection standards important for control applications throughout the process industry, particularly within oil and gas and petrochemical applications. 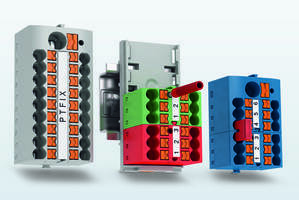 These new terminal blocks support the CLIPLINE Complete system of bridging elements, test accessories, and marking. 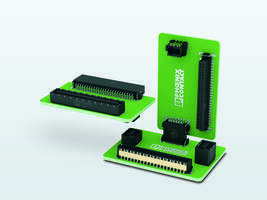 They have a high current-carrying capacity, up to 16 A per UL file XCIB2.E192998. 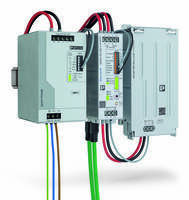 For more information, visit www.phoenixcontact.com or call technical service at 800-322-3225, e-mail info@phoenixcon.com.